No time to work out? Nonsense! 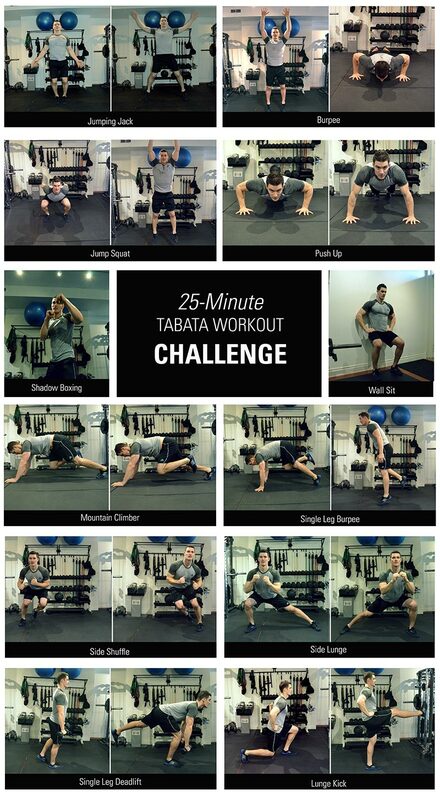 You can squeeze in a great workout in a relatively short amount of time by incorporating Tabatas into your routine. This HIIT-style bodyweight workout is incredible simple, but extremely effective. For this routine, you’ll do each exercise for 20 seconds (really give it your all! ), then rest for 10 seconds before moving on to the next one. Check out the video above to make sure you’re doing all the moves correctly and with proper form. Once you’re done all the moves in order, rest up for a full minute before repeating the circuit two more times for a complete workout. Looking For A Bigger Challenge? This workout is just one of many. If you’re really serious about getting and staying fit, consider taking up our 30-Day Body Sculpt Challenge! This cardio-and-functional-training focused routine is merely a sample workout from our challenge (it’s day 3, in case you were curious. ), which is guaranteed to torch fat and sculpt your body in 30 days. For a well-rounded regimen, give our challenge a go — not only will it improve your cardiovascular endurance, but we’ve it will increase your strength, sculpt your core and build up your muscles as well (don’t worry, there are rest days in there, too).